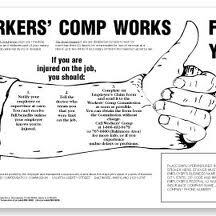 If you are injured while seeking medical treatment that is required in order for you to go back to work, when the original injury was a Maryland workers’ comp injury, is the second injury a workers’ compensation claim, as well? The Court of Special Appeals answered that question no. Here’s what happened in Washington Metropolitan Area Transit Authority v. Jan Williams, just decided last week. The claimant injured his back and left knee while on-the-job on April 15, 2008. A year later, he was attending a specialized type of physical therapy known as work hardening. He had a session, and went to his truck during the lunch break. After the lunch break, he got out of his truck and walked back to his therapy. While in the parking lot, another driver backed up into him. The Court of Special Appeals ruled that, for a second injury to qualify as compensable under Maryland Workers’ Compensation law, there must be a direct and material relationship between the two injuries. In this case, the second injury was not, strictly speaking, caused by the first injury (rather, it was caused by the circumstances surrounding the treatment of the first injury). This is an issue of proximate causation as lawyers use the phrase–a direct and material relationship. Finally, the Court considered whether the second injury was compensable under Maryland workers’ compensation in a second way–because it was also incurred “on-the-job.” Severing the second injury from the first injury, the question is whether the second injury was on-the-job because the employee needed to be there to get back to work. The employer required it. That issue was not decided by the lower court, so the Court of Special Appeals remanded it back to the trial court (with instructions to remand it back to the Maryland Workers’ Compensation Commission) for consideration. Even if the Commission rules against the claimant (I don’t think it will), he can still recover by filing what is known as a third-party claim against the driver of the car who hit him. He still has a standard Maryland automobile accident claim and lawsuit available to him. Tagged: "Maryland Workers' Comp" and "work injury"